Conversion therapy is finally on its way out in Alberta. The province is on its way to becoming the fourth province in Canada to ban the practice of attempting to modify someone’s sexual orientation through what the government describes as “dangerous and hurtful” methods. A release from the Government of Alberta states that a Conversion Therapy Working Group, co-chaired by MLA Nicole Goehring and advocate Glynnis Lieb, will spend the next five months developing a report on how to most effectively ban the practice within Alberta’s borders. The recommendations will be made to Minister of Health Sarah Hoffman upon their completion. “Conversion therapy is a damaging, hateful practice that has no place in our province,” said Hoffman, in the release. As of February 2019, only three Canadian provinces had passed legislation to ban the practice, with conversion therapy becoming illegal in Manitoba in 2015 and Ontario later that year. 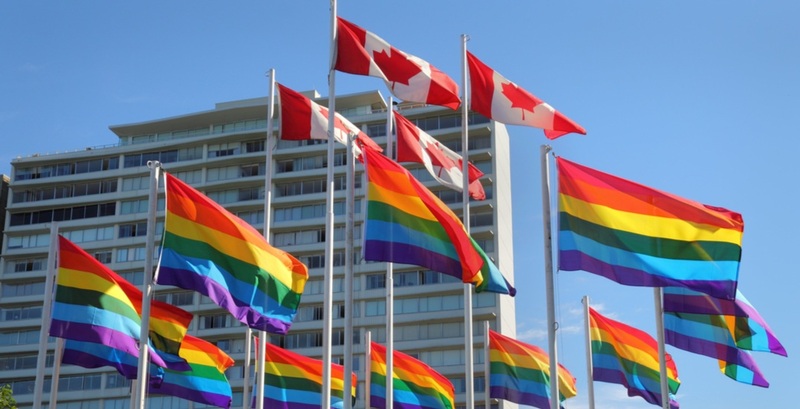 Vancouver city council banned businesses from offering conversion therapy within its city limits as of last June, and Nova Scotia banned it throughout the province last year. “I’ve heard from Albertans and community leaders that any ban on conversion therapy must be community-driven and can’t let anyone fall through the cracks,” said Goehring. In 2015 — the same year that the practice was first banned in Ontario and Manitoba — the Canadian Psychological Association came out with a statement formally opposing the practice on the grounds that the techniques led to documented cases of anxiety, depression, distress, sexual dysfunction, and other mental-health related consequences. The statement also noted the lack of scientific research that supported the practice’s validity. “No one deserves to be discriminated against or subject to harmful practices based on their innate sexual orientation,” said Lieb, in the release. Along with Lieb and Goehring, the group will include MLAs, community advocates, faith leaders, LGBTQ+ community members, people with lived experiences, and others of various backgrounds. The recommendations are expected to be presented by July of this year.